As a child of the 90’s, I cannot help but feel nostalgic when coming across The Oregon Trail: Choose your Own Trail series by Jesse Wiley. This series is a throwback to the popular 1985 computer game The Oregon Trail. The pixelated graphics and content are reminiscent of the actual computer game I played in elementary school. I knew exactly what I was in for when I dove into the first book. The books read very quickly with about 1-3 pages of text between each choice. Some of the choices you make have to deal with leaving things behind, buying and trading items, or taking shortcuts to make it to your destination. There is also a recommended trail guide in the back of the book that contains helpful information about things you may encounter on the trail. Each book takes you through a different part of the Oregon Territory with the fourth book ending in Oregon City. While reading, I made what I believed were the best decisions as I tend to lean on the safe side. Sadly, my endings were not always what I had expected, which was half of the fun! Only ONE of the over twenty endings moves you onto the next book or to the final destination, so re-reading this book is a must! These texts are geared toward a 2nd-5th grade level, but the retro feel could also be appealing in the secondary level. The content in these texts are based on historically accurate events about life on the Oregon Trail. Be sure that you know the definition of Dysentery (a disease marked especially by severe often bloody diarrhea), as you will likely need to explain this disease to your students. This text could be used in many ways in the classroom, such as: an interactive read aloud, small groups where students create a timeline of the choices they make along the way, a reader’s theatre/improv game where students act out their story, or just to enjoy during independent reading. 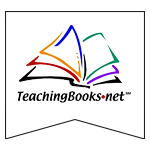 These texts are a great way to engage students in a fun, yet educational reading experience. The Oregon Trail is considered the most successful educational video game of all time. The original version of The Oregon Trail was a text only game created in Minneapolis, Minnesota in 1971 by 3 student teachers. It later underwent a major re-design in 1984, which became the version that we remember today and is represented in this book series (Bouchard, 2017).